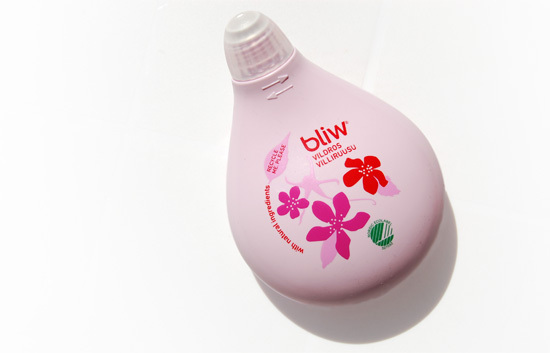 Launched in 1968, Bliw was the first ever liquid soap to be sold in stores. The formula, design and colour of the product have evolved over the years. In 2002, the round bubble shaped container became even rounder in design, thanks to Alessi designer Stefano Giovannoni and in 2005 the first bubble created through a design collaboration with Nordic designers was launched. In the spring 2009 Bliw was relaunched with a new design and with new fragrances and at the same time Bliw became eco-labelled.